Recommendation: Everyone who considers themselves a coaster fan should ride this at least once to experience roller coaster history. When I had to sit down and pick a coaster to be my 100th unique ride I had a very tough choice in front of me. I could think of dozens of rides but I wanted something special, I wanted a wooden coaster. About this same time we here at ISI were working on our plans for our "Small PA Parks Tour" and I remembered Lakemont Park was on this list. 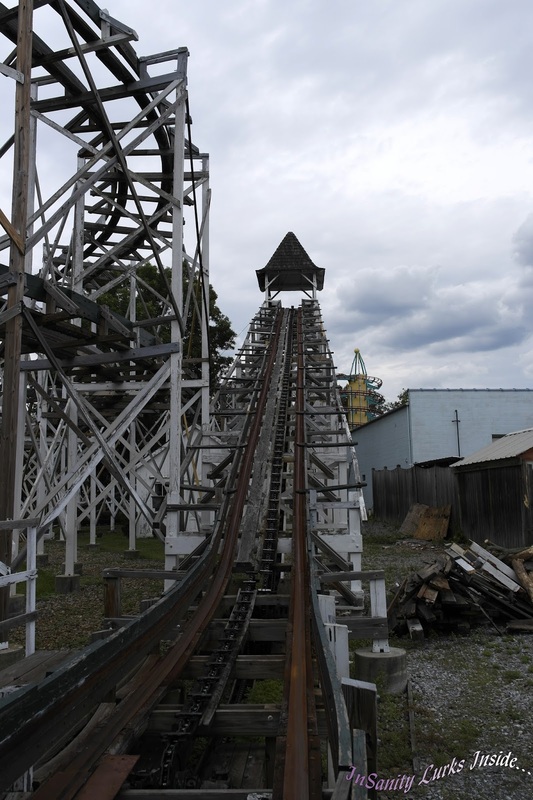 Soon we found out that Lakemont has the oldest operating roller coaster in the world and something special clicked, what better way to celebrate a hundred unique coasters then with the worlds oldest? So we picked a day and headed out to Altoona, Pennsylvania where Lakemont is located. Lakemont is an old park, it's been around since 1894 and began it's life as a Trolley Park. 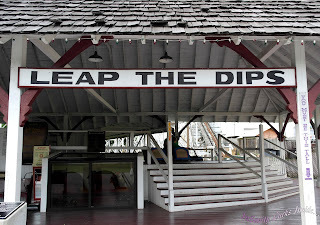 It became an amusement park in 1899 and 'Leap the Dips' was built shortly after in 1902. Over the years, Lakemont has suffered through a lot of bad times and at least one natural disaster. With the economy being down, the park is hurting yet again. It's visible everyplace you look and is most obvious when you look at Leap the Dips. 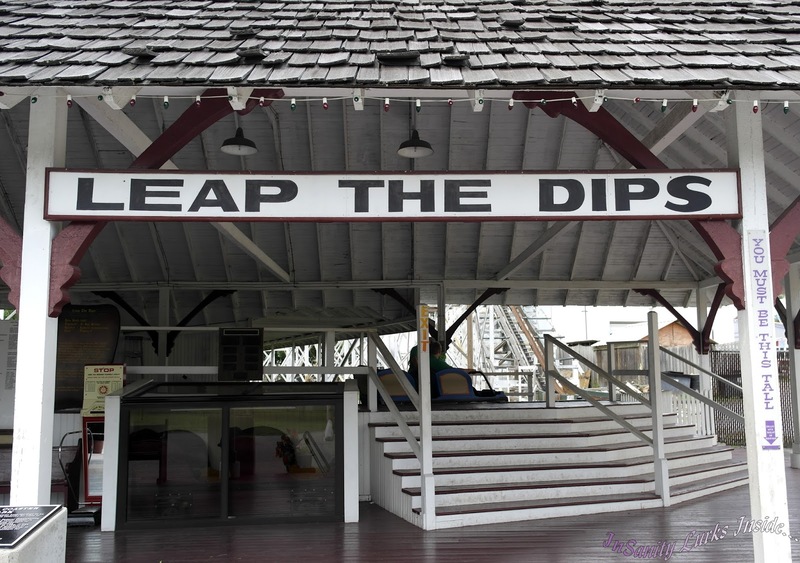 Less then ten years ago 'Leap the Dips' looked worlds better then it does today, but without an influx of money things could quickly become dire once again. Leap the Dips stopped operating in 1985 when it was deemed unsafe, the ride was honestly and truly, falling apart on it's track. 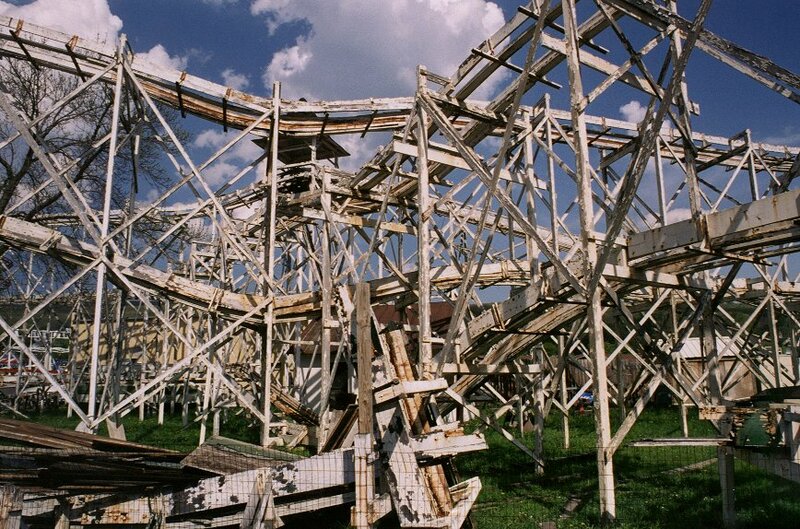 It reopened on Memorial Day in 1998 with some much needed help from a fund raiser and awareness from the American Coaster Enthusiasts, the ride survived. 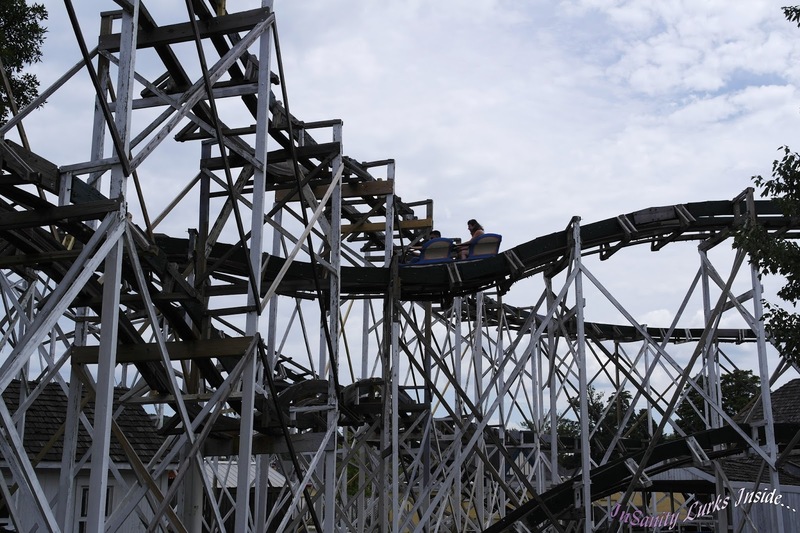 It was marked as an ACE coaster classic and is a registered historical landmark. Did I mention it's old yet? Because this is a piece of living history that some of our grandparents and possibly great-grandparents would have enjoyed. Side Friction coasters are gone, they were considered 'outdated' in the 1920's yet this one survived. 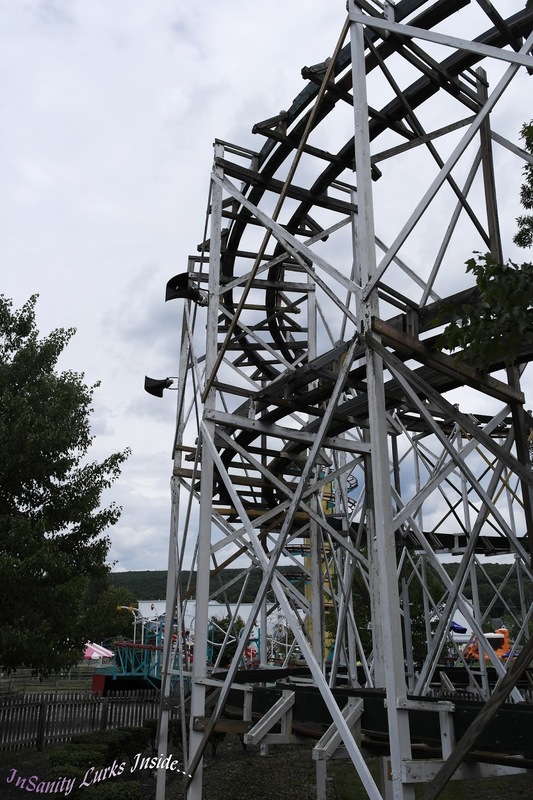 Only six of this style coaster survive today, with Lakemont Park being the only one in the US as well as the oldest. By today's standards it's not amazing. It's not huge nor record-breaking. It doesn't boast a massive drop or huge air-time but it's still important because this is the great-great grandparent of our modern roller coaster rides. Without Leap the Dips and many other now gone rides, we wouldn't have those monster coasters we all love. Leap the Dips is something everyone who calls themselves a "Coaster Fan" should probably ride at least once. It's a little rickety and you may question your judgement once or twice but trust me, you need to ride this! Nearly original to it's plans, Leap the Dips still has the old 'anti-rollback' system as well as the friction brakes operated by a person. No computers here! It's 'human powered' to get to the lift hill, some nice employee shoves your car around the opening part of the track until it connects with the lift hill and your slowly propelled upwards. 'Side Friction' means it's held onto the track from the sides, no fancy 'up-start' wheels here to glue you to the track. This adds an element of fear but a huge surge of thrill. The longest drop is only 9 feet but you feel every one of them in your gut and they don't have any of these fancy restraints. You get a bar mounted to the car that you can clutch onto and that's about it. Overall Leap the Dips is both incredibly fun and slightly scary at the same time. I can't describe the feeling you get from riding a piece of history, the same way I can't put into words just how important this ride really is. Lakemont Park is about an hour north of Breezewood, Pennsylvania in Altoona. So it's my honest suggestion that when you're next passing through on the PA Turnpike, take about 3 hours of your time and make the trip up. 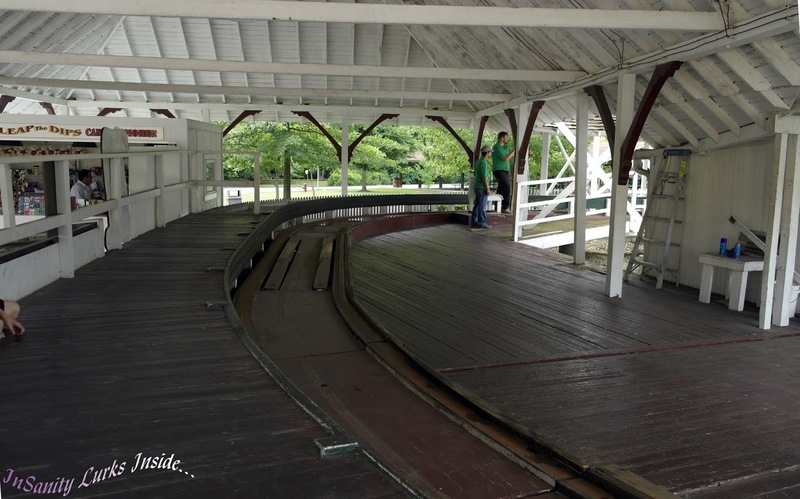 Not only is it a lovely drive, you've got a historic roller coaster waiting for you at the end. I can't tell you how much longer Leap the Dips will be around before it goes into idleness and another fund-raiser will be needed but history doesn't last forever, sadly. You need to go. Just trust me on this one and go. 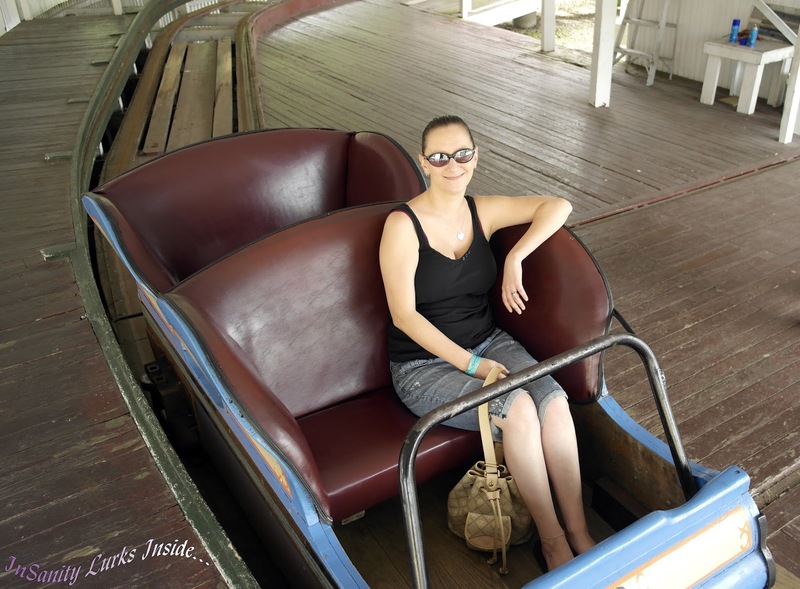 Just for Fun: Carrie of ISI rides her 100th Unique Roller Coaster. 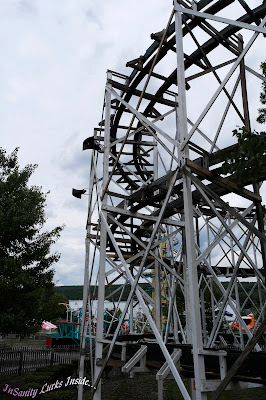 Leap the Dips at Lakemont Park in Altoona, PA.
Aw... I wanna go! It's so quiet there. If I can ever get you up here sometime in the summer, we'll take you all over!